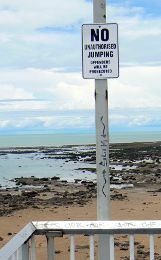 Local Darwin tide charts and tables are important in an area where ocean tides of up to 8m are among the highest tides in the world. 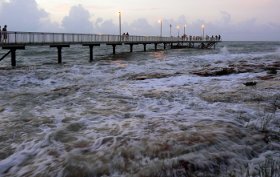 These photo's of Nightcliff Jetty and the adjacent boat ramp illustrate just how big the local tides are. The low tide photos were taken at a tide of about 40cm, the high tide was about 7.9m - tides of 8 metres plus occurr from time to time. 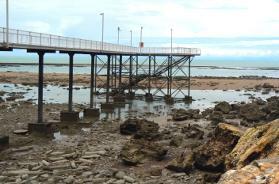 Obviously tides like this affect all sorts of things around Darwin. 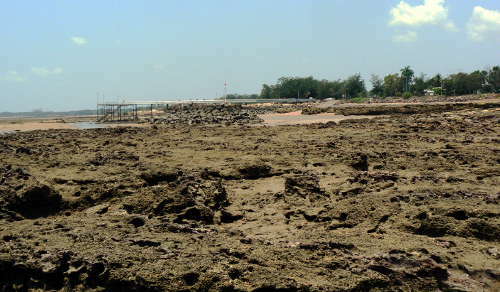 If you want to launch a boat here, it probably pays to know where the water will be. Whatever you do, stay on the concrete. More than one vehicle has seen an untimely end here, stuck in the sand and mud as the tide comes in. 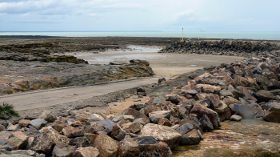 More information on Darwin Boat Ramps - there are about half a dozen places to launch a small boat in the Darwin/Palmerston area. 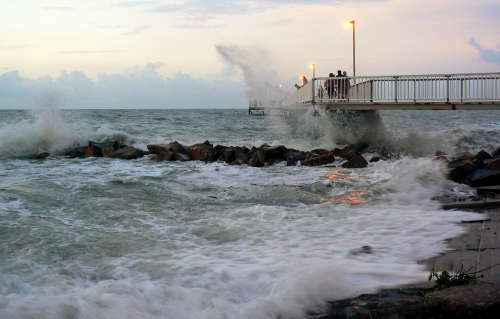 The Jetty area is a popular place with people coming to watch the tides and the sunset in a cool breeze. There is a takeaway food van here on Saturday evening and it's hard to find a more pleasant place to spend a few hours. 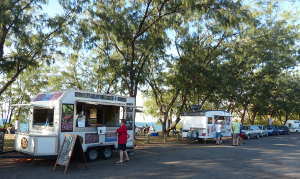 The coastal bike track runs past the boat ramp and jetty and on through a large park with BBQ facilities and a covered playground. There is plenty of room and shade for families to enjoy the fresh sea breeze here. 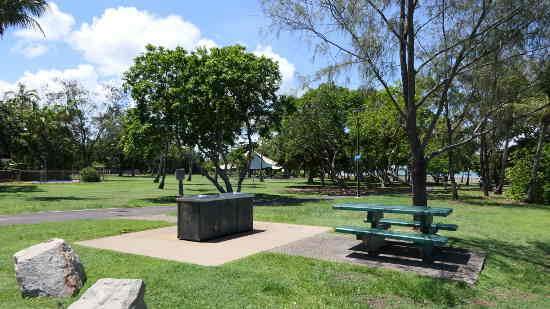 Playground and BBQ facilities in the park next to the boat ramp. Return from Darwin Tide Charts to Enjoy Darwin Home.